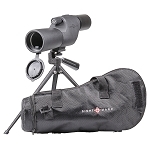 Shooting, hunting, tactical observation or simply glassing for wildlife, the Sightmark Latitude 15-45x60 Spotting Scope keeps your objective in focus. 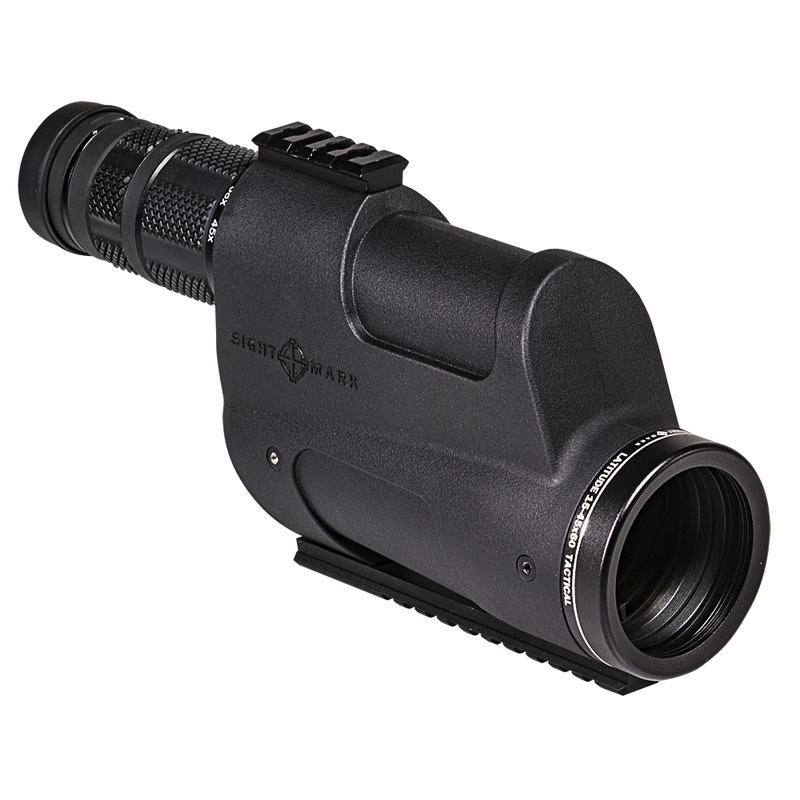 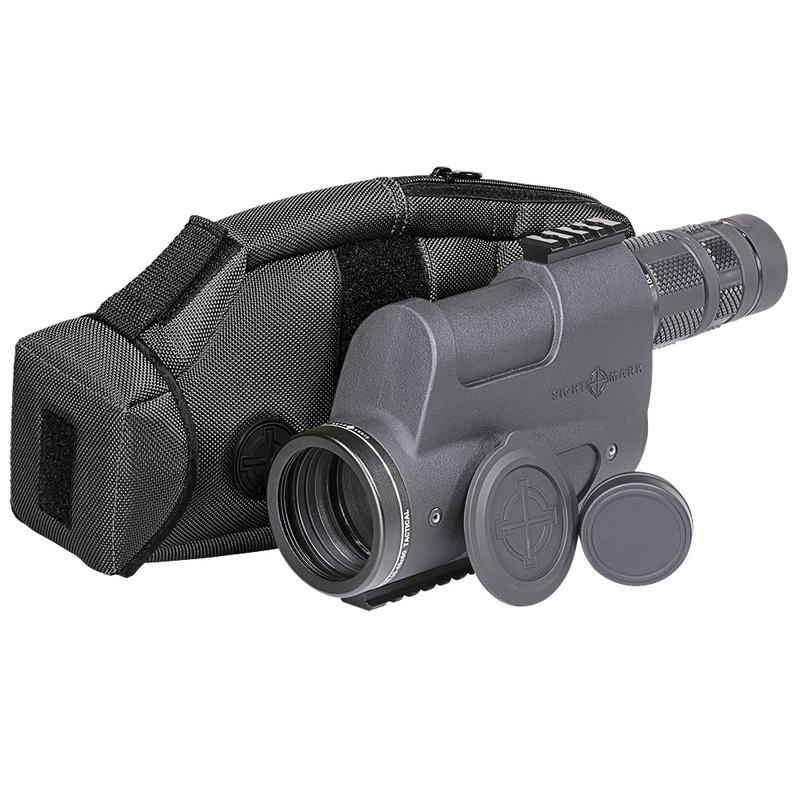 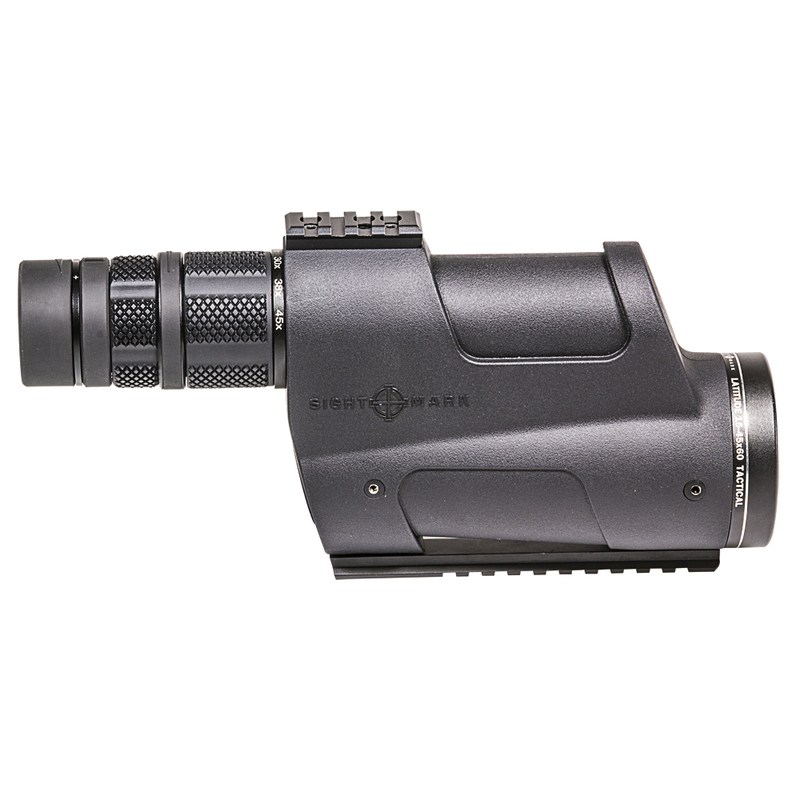 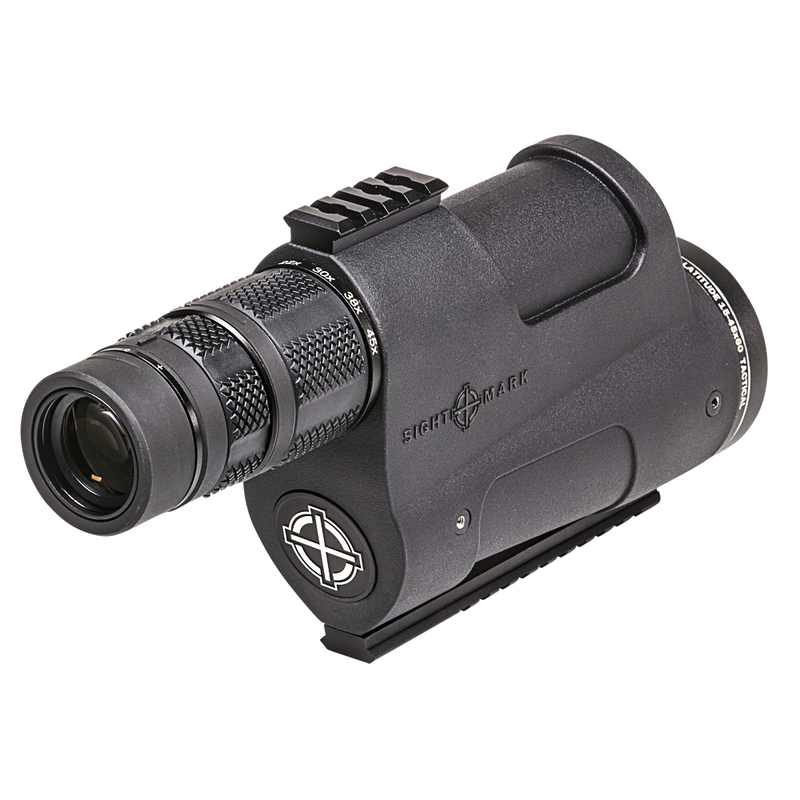 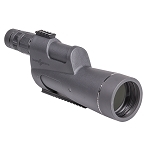 This precision engineered, dielectric-coated mirror designed optic utilizes variable 15-45X magnification, advanced fully multi-coated glass, 60mm objective lens, twist-up eyecups, a focusable eyepiece and a central focus system to give you stunning, distortion-free clarity and 177-ft. to 60-ft. field of view at 1,000 yards. 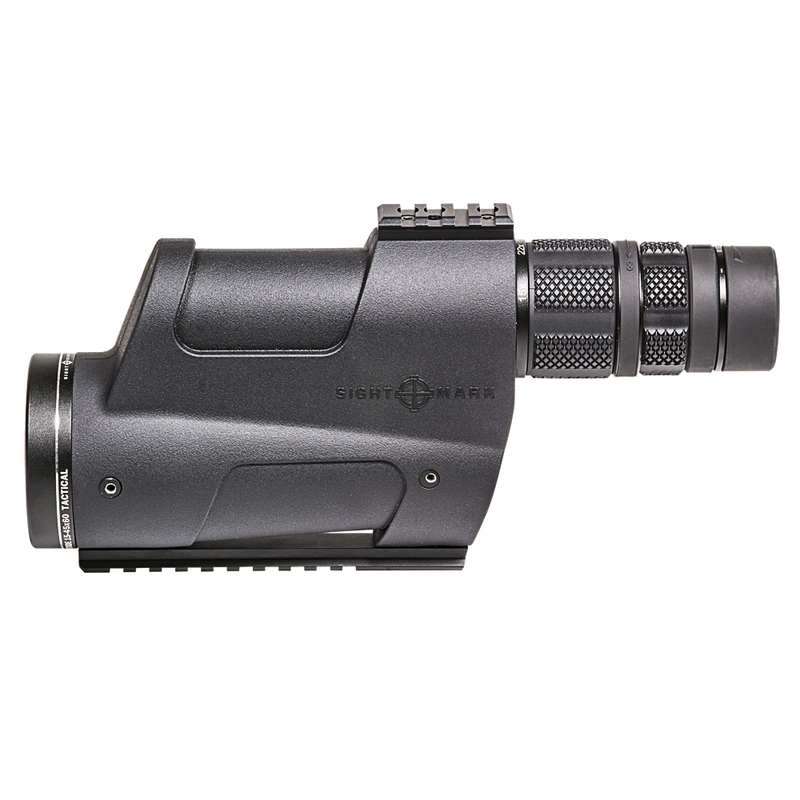 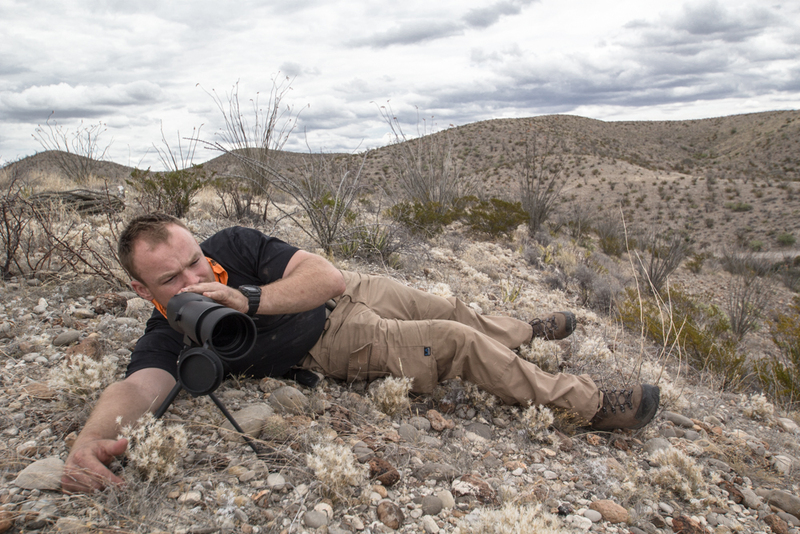 The Sightmark Latitude 15-45x60 Spotting Scope boasts a rugged rubber armored coating and IP67 waterproof, dustproof and fogproof protection for confident glassing when you need your optics most. 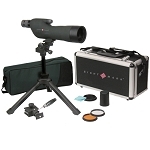 Includes accessory rails, lens covers and a carrying case.